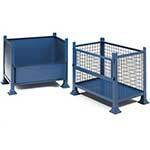 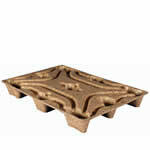 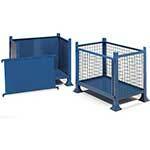 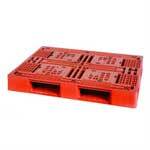 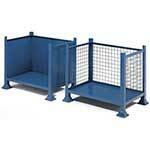 These stacking steel stillages are also known as post pallets and box pallets. 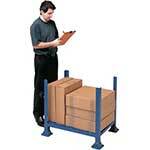 They’re able to hold up to a massive 1000 kg (1 tonne) and can be used for storage and transportation of goods. 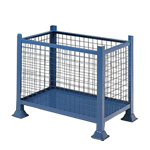 These sturdy, solid pallets are available with mesh sides (either completely enclosed on the sides or with one side partly or fully open) to allow higher products to be stored in the pallet without risking any damage from goods falling from the pallet. 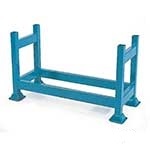 These pallets are also raised off of the ground to enable easy access via a forklift so that the pallets can be moved and placed into vans and lorries if needed. 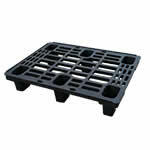 With our range of light, medium and heavy duty plastic pallets there’s a pallet for all budgets and weight requirements. 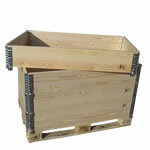 The light duty pallets are lightweight, easy to manoeuvre and can be stacked on top of other pallets to maximise available space. 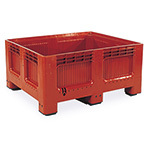 Whereas the heavy duty pallets are reinforced for superior strength, with slotted sides these pallets can be easily lifted by forklifts. 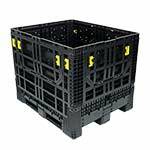 Finally, our collapsible plastic pallet box folds away for compact storage, has an 800 litre storage capacity and can easily be stacked on top of itself for use in vans and lorries. 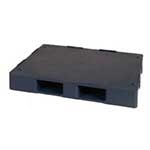 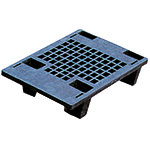 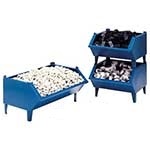 These euro size plastic pallets are light in weight, yet strong and hygienic making them ideal for a wide range of uses such as shipping and storage. 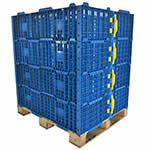 All of these pallets provide exceptional value for money.